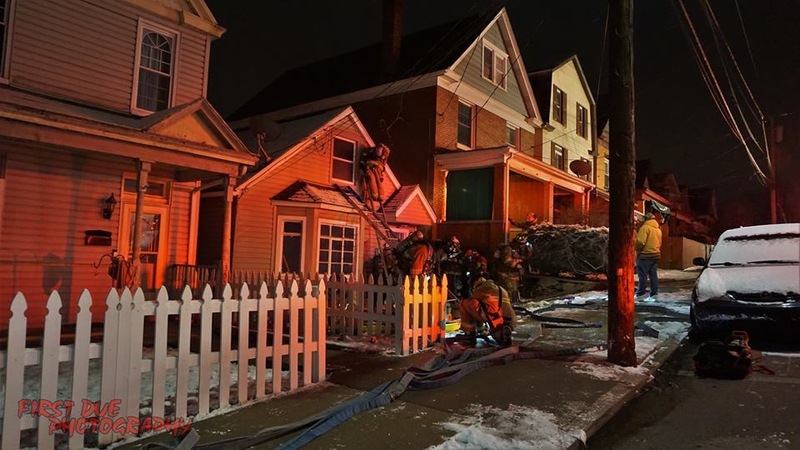 Thursday evening, Quint 1 (Allegheny County Truck 192) was alerted to assist Pitcairn with a reported house fire on Kenney Avenue. Quint 1 arrived on scene second behind Pitcairn Engine 229. Engine 229 quickly knocked the fire. The Quint crew assisted with ladders, ventilation and overhaul. Photo Credit to First Due Photography.